MLS# 190006027 - 7832 Sendero Angelica, San Diego, CA 92127 - Abacus Properties Inc. Seller will entertain offers between $5,499,000-$5,999,000. This newer build with today’s lighter finishes enjoys jaw dropping views of the golf course and ocean. The open concept indoor ~ outdoor resort style living is phenomenal with expansive disappearing walls of glass welcoming you to a spacious yet inviting veranda where all seasons may be spent day and night! The stunning vanishing edge pool with grassy yard frame the 11th fairway far below with 180 degree views to the Pacific! See supplement. 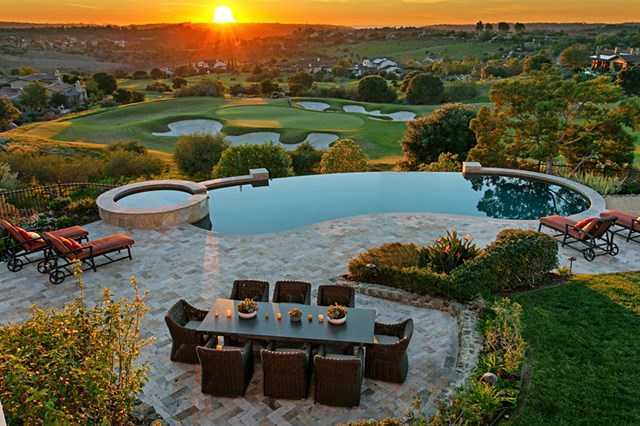 Please, send me more information on this property: MLS# 190006027 – $5,999,000 – 7832 Sendero Angelica, San Diego, CA 92127. I would like to schedule a private showing for this property: MLS# 190006027 – $5,999,000 – 7832 Sendero Angelica, San Diego, CA 92127.